All I can say is TEE-GEE-IIII-EFFFFFFFF! I don't travel for work in December, so while it does make this homebody a happy person, it also makes the work weeks of being in the office Monday thru Friday seem very long indeed. But alas - today is Friday and the weekend is a mere 7.5 hours away. So to wrap the week up, this post may be all over the place. Oh well. Here's today's OOTD -- a heather grey sweater with a V-neck and V-back that I scored from Old Navy recently when they had all sweaters 75% off. I think I got this one for about $6. The skinny black jeans are Lee Jeans and I'm wearing some of my favorite shoes -- my Nine West zebra kitten heels. I made my pearl necklace which is one HUGELY long strand that I can wear doubled up, tripled up, or quadrupled up for different looks. I scored these snazzy shoes on eBay many moons ago. Besides just having to have the heels recapped, they have stayed in great condition. I have been loving my December evenings. Fires in the fireplace, red wine, holiday music, cozy clothes. Lots of time spent making jewelry for my A. Liz Designs Etsy store and time spent at the post office mailing the pretties to new loving homes. 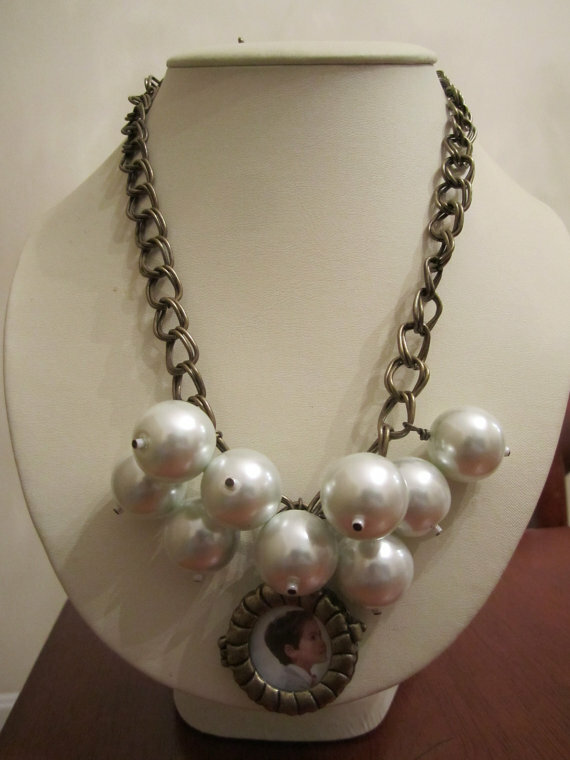 Here's one of my newest items -- antiqued brass chain with big fussy faux pearls and a locket. The first picture shows an example of a child's photograph in it, and the second has a clover in it. I also made these earrings the other night, took a step back and looked at them real good & hard, and thought -- these are staying with me. And that? Happens way too often. Making my own jewelry has quickly turned me into a jewelry hoarder. We are going out with some friends tonight for dinner ... please oh please let 5pm get here soon! I want to be in our bathroom touching up my makeup and spritzing perfume with a glass of wine on the bathroom counter STAT. 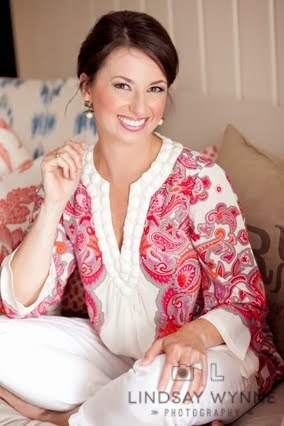 i think you look adorable today my friend...and all the new pieces for your store--just gorgeous!!! Love your outfit! Those shoes are the cutest! love that outfit!!! you have such talent! love that jewelry, too! Love the outfits and updates! You are certainly working quite hard on those jewels, but they are turning out great. Happy weekend! I love your OOTD! So simple, but so cute! I love your earrings you're wearing & the items you've added to your shop!! I love your outfit and the necklace you made. So pretty! I'll definitely have to check out your shop more often. Your outfit is really cute, love the sweater! Your hair looks really long, it's pretty! And I love the last pair of earrings! Love those shoes! I'm so thankful that it is Friday too. It's been such a long week. Love those earrings! I am a new follower! Super Cute blog! 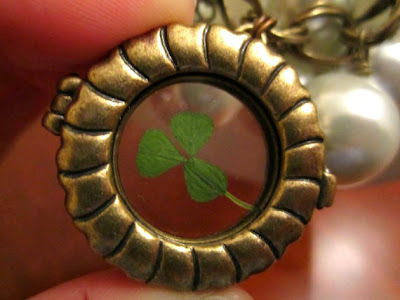 LOVE your rhinestone earrings and that necklace with the clover! !